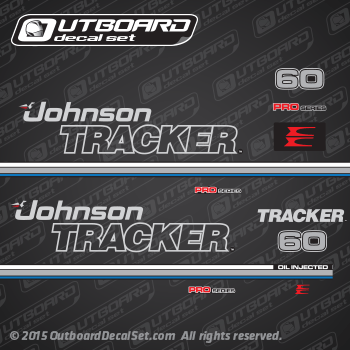 Decal kit for Johnson 60hp from the early 90's 1993. these decals for Johnson 1993 60hp fit on covers for E60ELENE, E60TLENE, E60TTLENE, TE60TLENE, VE60ELENE, VE60TLENE, E60ELETD, E60TLETD, E60TTLETD, TE60TLETD, VE60ELETD, E60ELERS, E60ELERV, E60TLERS, E60TLERV, E60TTLERS, E60TTLERV. 1993 Johnson 60 hp decal kit part number 0284271, 0284341 for motor cover 0284381. JOHNSON 1991 J60ELEIB, J60TLEIB, J70ELEIE, J70TLEIE, TJ60TLEIB, VJ60ELEIB, VJ60TLEIB, VJ70ELEIE, VJ70TLEIE. JOHNSON 1992 J60ELENE, J60TLENE, J70ELEND, J70TLEND, TJ60TLENE, VJ60ELENE, VJ60TLENE, VJ70ELEND, VJ70TLEND. JOHNSON 1993 J60ELETD, J60TLETD, J70ELETS, J70TLETS, TJ60TLETD, VJ60ELETD, VJ70ELETS, VJ70TLETS .